Released in May 2017, our latest CD is an Italian-themed collection titled "O Sole Mio!" 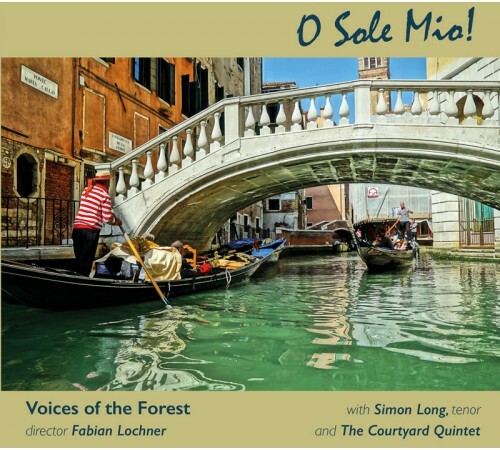 featuring the Voices of the Forest choir, acclaimed tenor Simon Long and the classical group the Courtyard Quintet. Listen to some of the tracks below. The full track listing is also shown below. Payments are made securely through PayPal's website. Items will be posted as quickly as possible and will normally arrive within a few days. All proceeds from CD sales go to cover the costs of recording and producing the CDs and are used to finance future recordings. Your support is appreciated.